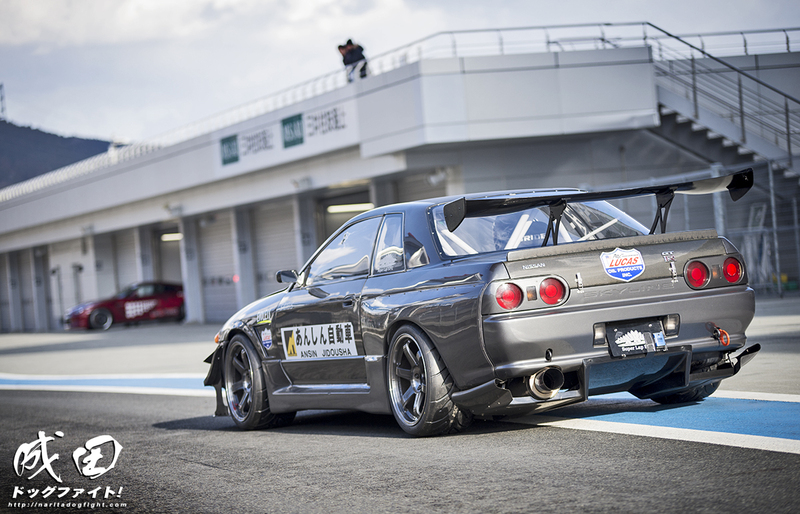 The main attraction to HKS Premium Day has to be the Option Fuji Super Lap. The best of the best gather and attack the circuit to claim their stake as the fastest in their league. It not only makes for great racing, but it allows us to get some really unique builds all together in one place. 2014 was no exception and each of the tuners brought out some incredible cars. Some were new, some were rebuilt classics, and many went home with new personal bests. Another great aspect of the event is that many of the drivers that piloted the cars that day were professionals. 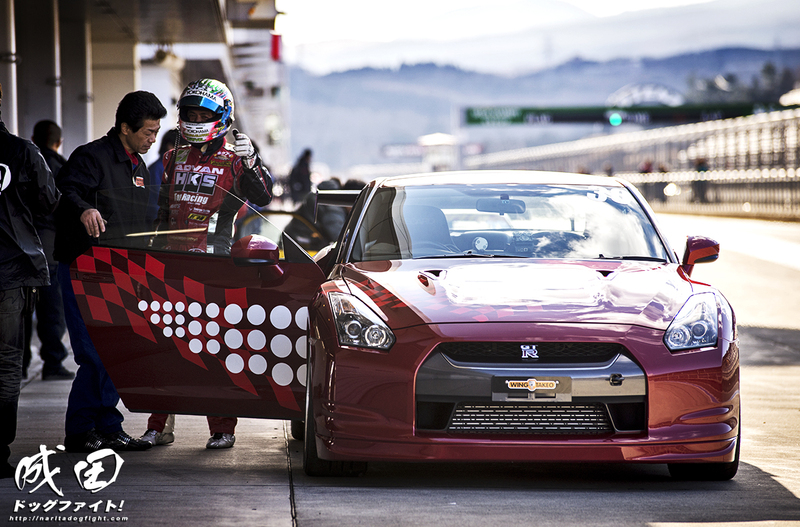 A plethora of Super GT drivers, and industry icons like NOB were in attendance to do their part to achieve fast laps. I even tried to touch NOB to get some of his aura, but it didn’t work…just kidding. I would have though, seriously. This post will review some of the builds that were there and how they fared during the Super Lap battle that took place. First up, pictured here, is the Top Secret GTR that was brought out alongside their 86. While the 86 competed in the special 86 & BRZ Challenge, the GTR was in the Option Super Lap. 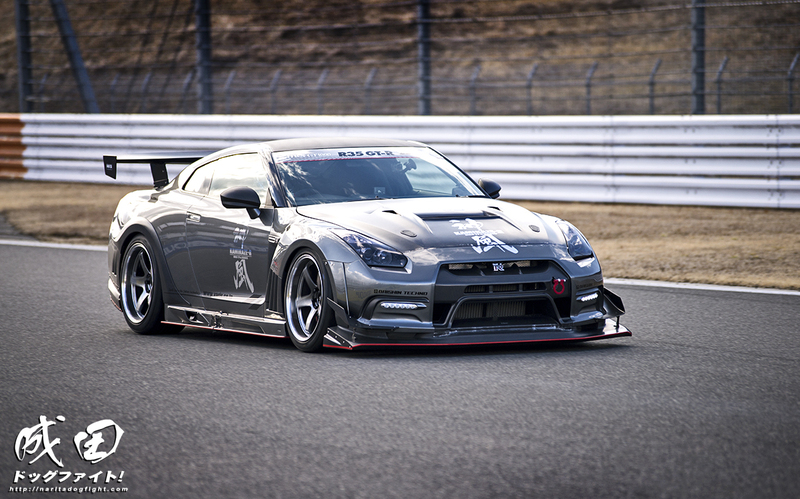 Smokey’s creation, dubbed the Super GT-R1000 (no doubt because it has an outrageous 1,034hp), was able to pull an impressive 1’44.731 for the day putting it among the top contenders. This is probably the most boring photograph ever, but I promise you the car was moving at like 300 km/h on the front straight; shutter speed was just a little too quick. 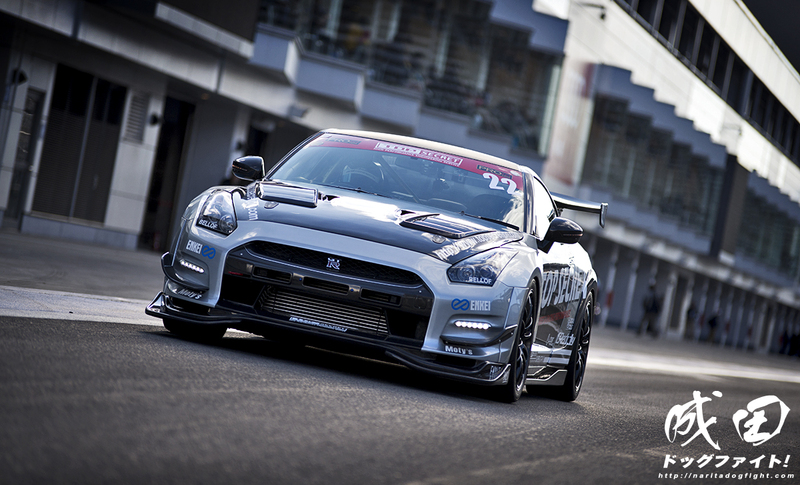 This is the HKS Technical Factory built TF GT1000 Spec R35 a.k.a. Kamikaze-R; an even more impressive name, HKS, not wanting to be outdone by Top Secret. Although this build is almost 100hp shy of the Top Secret one, it was still able to pull a faster lap at 1’44.051! My guess is that it’s a more balanced build; but close none-the-less. 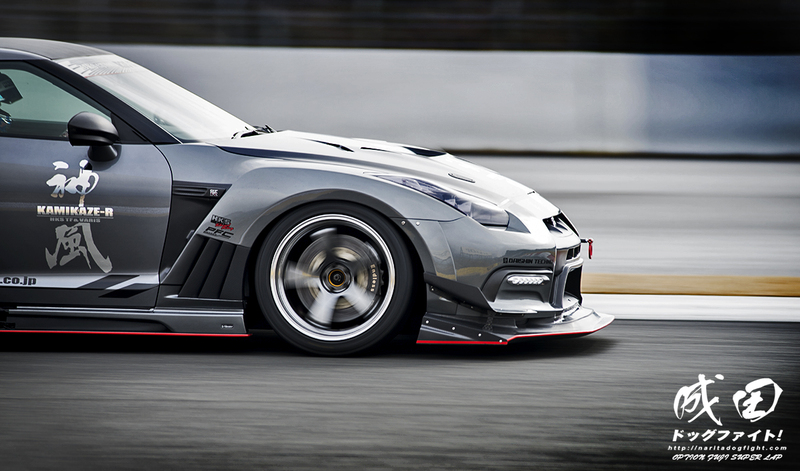 This is better – I absolutely love the lines of the Varis GTR kit. It really is a piece of artwork. Varis has a high price tag for a reason; you won’t find another aero company that puts this much time and aesthetic research into making a body kit. Hands down the best kit on the market for the GTR. Heading into turn 10 on a hot lap. None other than Mr. Nobuteru “Best Looking Man Alive” Taniguchi was employed by HKS to drive their creation this day. Boy did he drive it, and he looked great doing it too. I hope I’m not making it too obvious I have a slight crush on Taniguchi. I may as well just keep going with the GTR’s that were on point that day. 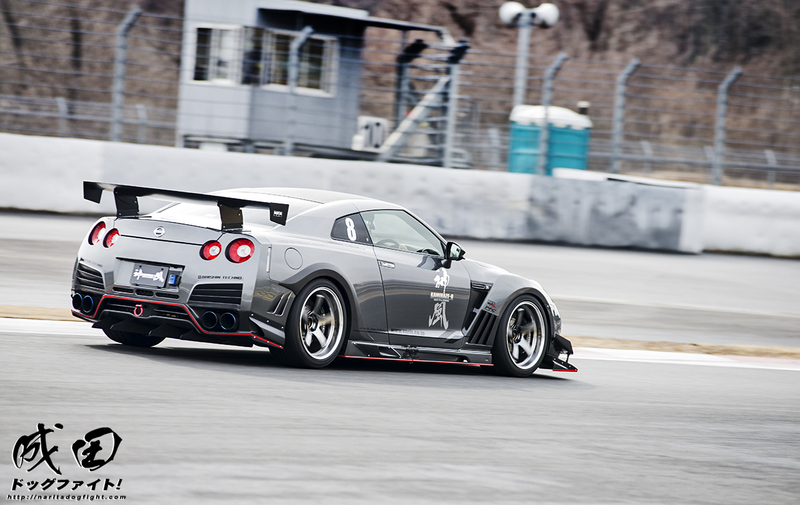 This is the Wing Takeo built R35 and boy was it fast on the straight. Unfortunately the team ended up having trouble with the ABS system and could only pull off a 1’59.181 – very slow in comparison to the others, but I’m sure a lot of it had to do with their braking issues. The car has 950 horsepower; I wouldn’t want to use all of those with no brakes. Among the braking issues, here we see the driver expressing his frustration of being distracted by foreign media in the pit lane. 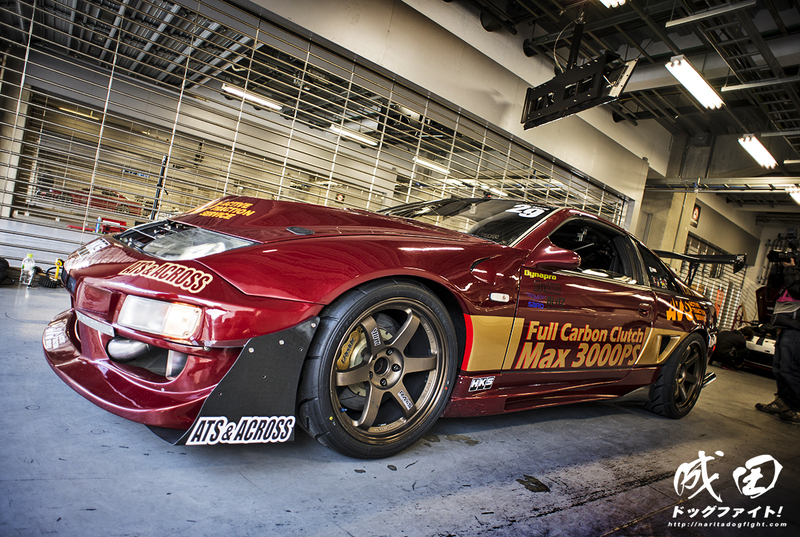 Switching gears, kind of, no pun intended, to C&Y Sports Fairlady Z. Knowing the engine swap maniacs at C&Y, you know there is no VG under that hood. I’m sure you’re all familiar with this car, but it is now powered by an 800hp, 2JZ-GTE engine with a massive T04Z turbine. 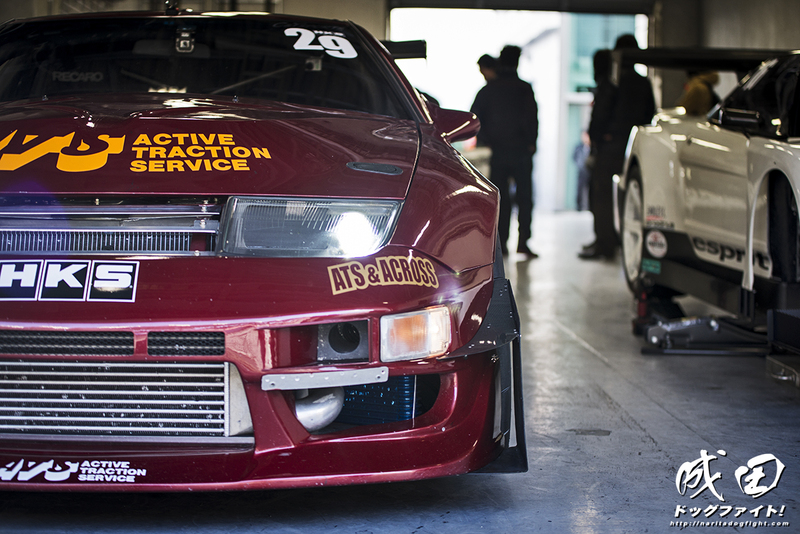 For what it is though, it performed quite well on track clocking a 1’52.720 around Fuji. 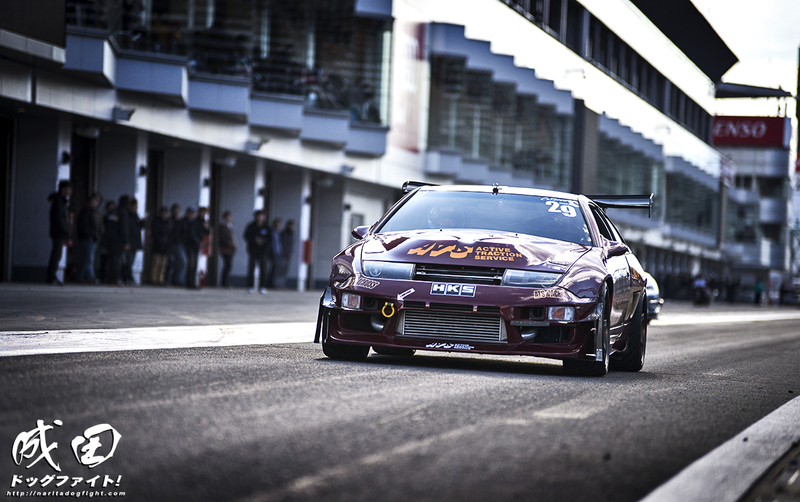 Dragging the hefty Z32 around the circuit that fast is quite impressive. Good time to mention that it was kind of chilly…and super windy. I hate the wind. This is the garage of the Saurus R32 pack that I posted on earlier. Without re-posting too much information, they clocked a decent time of 1’49.053. One car I didn’t actually get to see on track was the Cockpit Tatebayashi ER34. Not the craziest build, but it looked really good! I was kind of upset I had missed it – but it ran a 1’56.105 that day. Good for the second fastest time of the (3?) R34’s that were there; the Art Tech R34 did not clock a time unfortunately, and the Garage Ito 34 blew it out of the water. 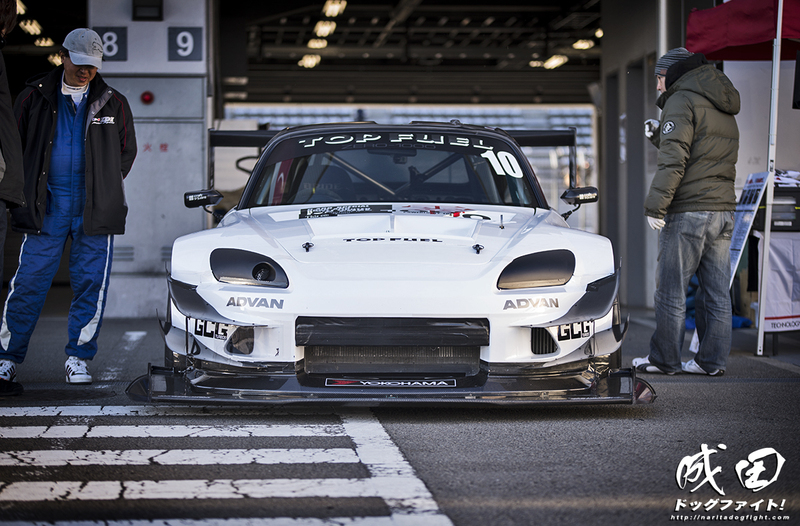 The Arvou S2000, the people’s champ. 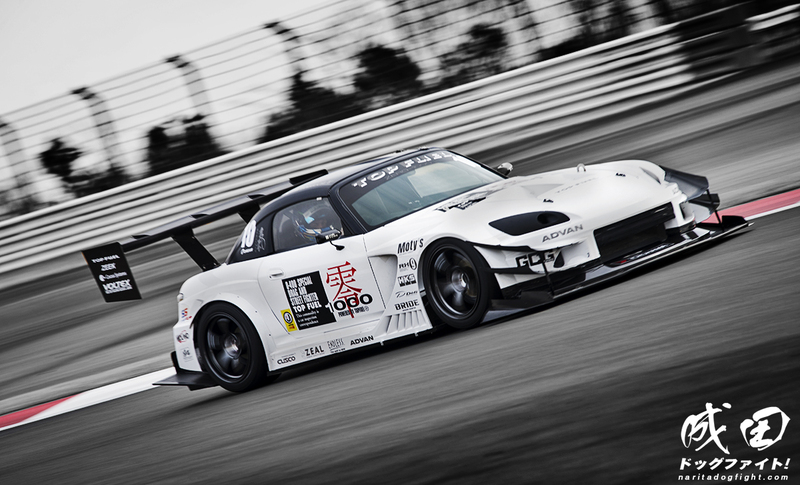 Piloted by Shibata-san, the roadster put down a competitive time of 1’49.984 around Fuji. A mild build compared to it’s competition, it performed very well showing just how balanced the chassis is, and how Arvou capitalized on that. You could hear the slight whine of the supercharger as it pulled in and out of the garage. If you look closely you’ll see Taniguchi staring straight into my soul. 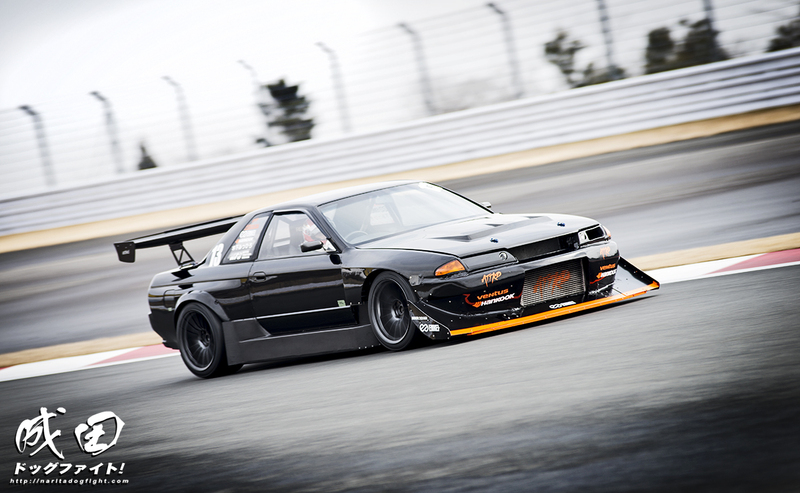 …and that is the ATTKD BNR32 GTR. 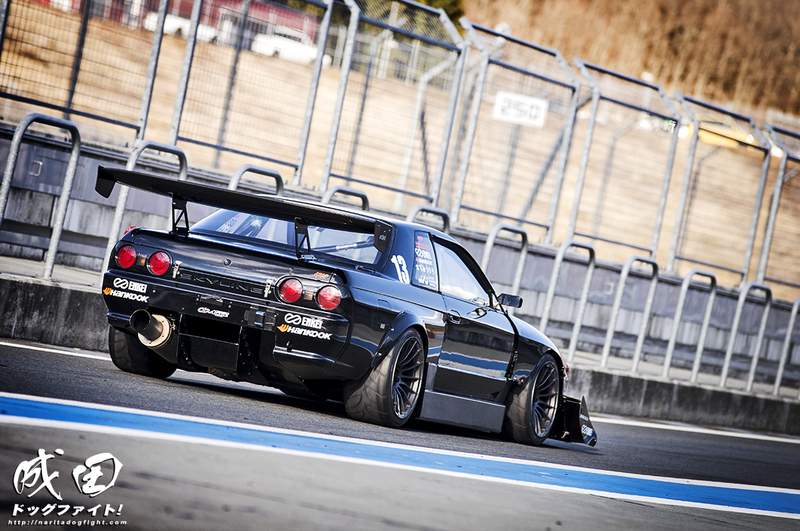 At a mere 700hp (I use the word ‘mere’ lightly), Mitsuhiro-san destroyed the track and laid out a 1’41.777. Seriously? That’s just 1.6 shy of one of the fastest time attack cars built to date with a mod list half as impressive, and without the help of a world renowned aerodynamic company. On top of all that – the car looked absolutely menacing. When I first saw it I simply put my camera down and stared. 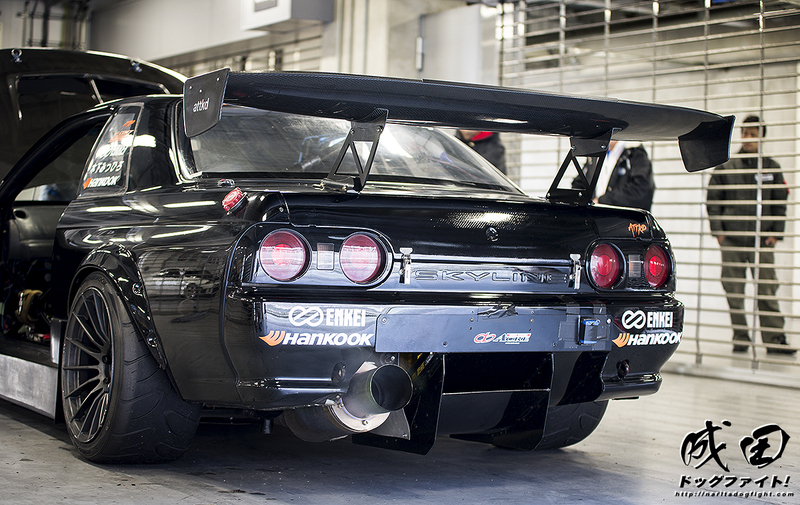 Have you ever seen an R32 like this? I’ve been doing this for awhile, and I can’t recall anything similar…and I loved that it was #13. It goes without saying that this car topped my list of favorites. I gotta leave it at this for now – I’m getting all worked up reliving this. I’ll do my best to get another post together finishing the Option Super Lap results as soon as I can, although this weekend is going to be really busy for me. Hope you enjoy this! Awesome work on the site! I used to be a huge speedhunters fan, but your site is becoming my new #1 because of its content, photography, and frequent updates. Reblogged this on Cars galaxy. Your welcome!! 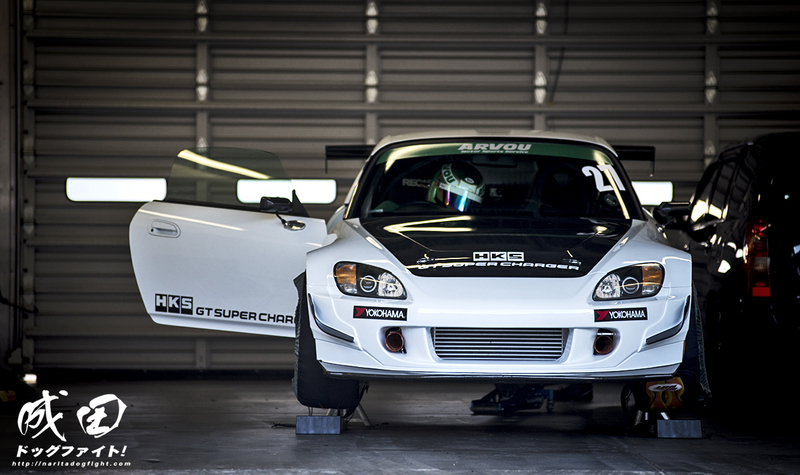 Keep up the good work, and lots of S2000 content please!